One of the things I can’t live without is flavored drinks and that includes soda pop. I love the crisp, refreshing taste that plain ol’ water just can’t give me. 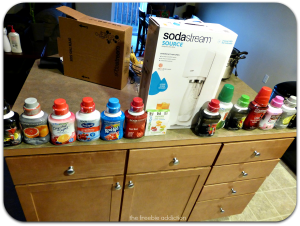 With products like the SodaStream, they make it easy for you to make your own carbonated flavored drinks in the comfort of your home cheaply and with better ingredients than regular soda. 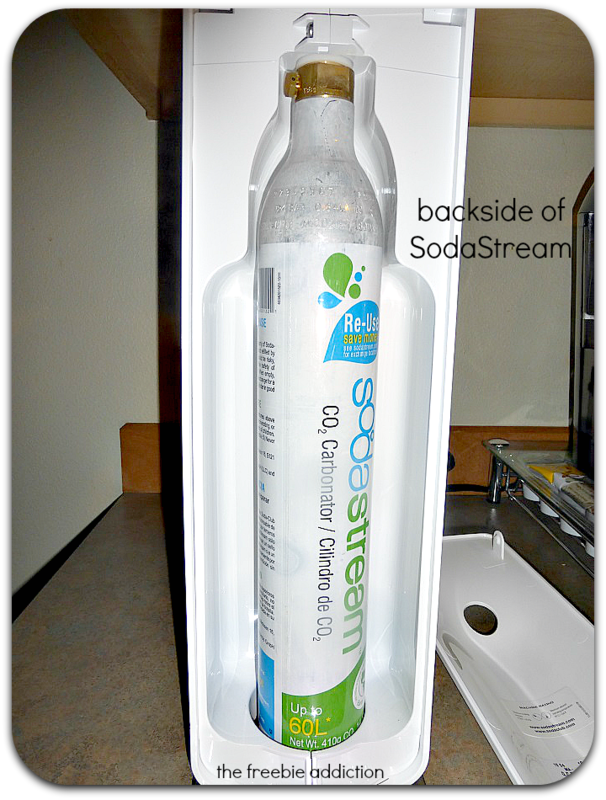 What is the SodaStream Source? A beautiful design. Simplicity. Convenience. Every time you use it, you are making the planet a cleaner place to live. Powered by a reusable CO2 canister, the refined mechanics of the all-new SodaStream Source make the entire top surface responsive to touch to quickly transform water into soda. An LED display indicates three levels of fizziness for precise carbonation with every use, while a new snap-lock bottle mechanism makes the Source even easier to use. 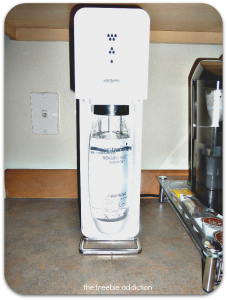 When the SodaStream arrived, I was pleasantly surprised with how easy it was to set up. No cords to mess with, just a carbonator to screw in the back, then you’re on your way to making your own refreshing, bubbly beverages! It requires cold water to achieve the best results possible. Then you insert the bottle and push it in to lock it in place. Once you’ve got it locked in place, you press the top down and do however many pumps given by directions on the flavored SodaStream mix bottles. Cola requires 6 pumps or until the top indicator drop icons are lit up. This achieves the best results since Cola is one of those sodas that needs a lot of fizz in order to taste great. I’ve found any less than that and it tastes flat. Also, the flavored Cola provided by SodaStream doesn’t taste like Coca-Cola, but more like RC Cola which is a mix between Pepsi and Coca-Cola. The thing I really like about the SodaStream is that I am prepared for a party or whenever someone randomly stops by. That means I don’t have to go run to the store to get some soda or juice, I can just fill the 1 liter bottle up and let them decide on what flavoring they want. I also love that SodaStream has options for adult beverages. I tried the cosmopolitan and it was pretty good carbonated. Maybe a little too sweet, but I’ll try adding some lemon-lime to it next time to give it a little tartness. 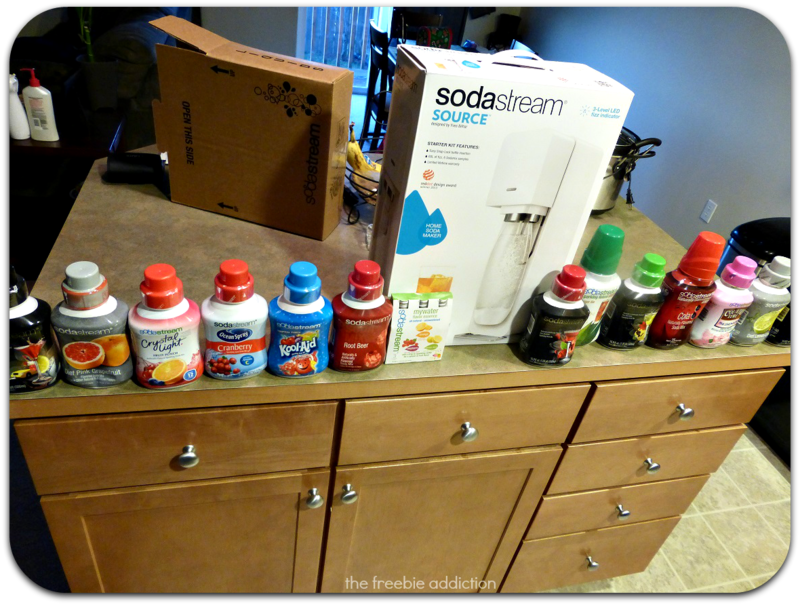 And who doesn’t love the fact that it is economically cheaper to purchase these SodaStream mixes and make your own pop/soda at home? Per liter, you’re spending an average of $.35, where as if you purchase 2 liter of soda, you’re spending over a $1.00 in most stores. It’s also healthier for you too, in moderation that is, since it contains no high fructose corn syrup which is found in high amounts of regular soda. I did find that if you don’t give it enough of a pump for maximum carbonation, the entire bottle you just made goes flat, and quite quickly. So push the button until you hear a loud buzz sound. If you don’t hear these, you’re probably going to have flat drinks and no one likes flat soda! 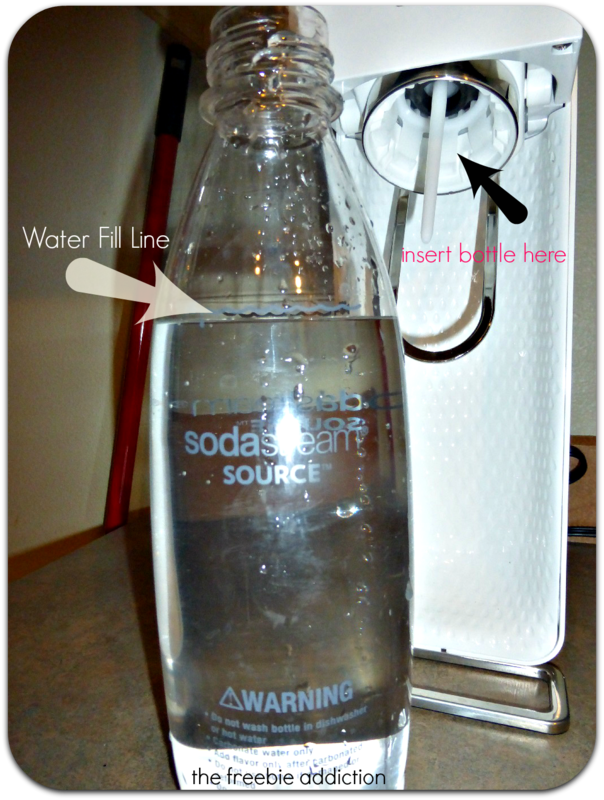 Overall, I love my new SodaStream Source and I see it coming in handy for years to come. 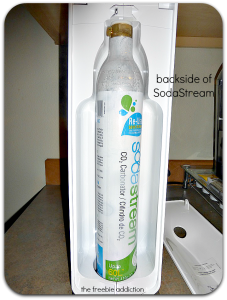 Disclosure: I received the SodaStream Source Kit to facilitate this review. All opinions and experiences are my own. 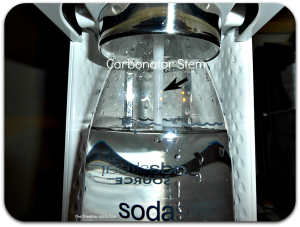 I love SodaStream! Not only is a cool looking piece of kitchen goodness, it is also fun! The older kids can easily use it to make their friends some soda. Show off factor is always a winner. I LOVE the SodaStream!! I like how the Source has the lights on top to let you know when the carbonation is at the right level. 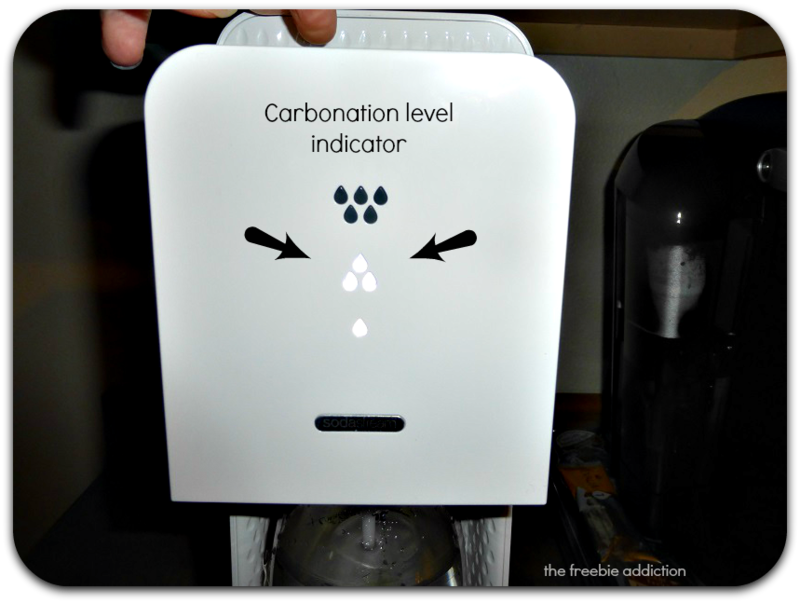 I have an older model that you have to listen for your carbonation (buzz) level. I normally do anywhere from 3-6 buzzes. 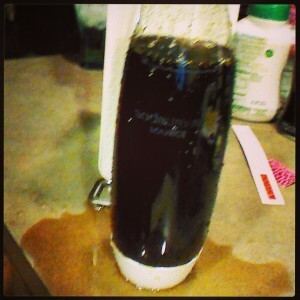 Also it might help if you tilt your SodaStream bottle as you slowly pour the syrup in, if you aren’t already doing it. It doesn’t tend to fizz up much or any at all if you do it this way. I love the look of the Source! 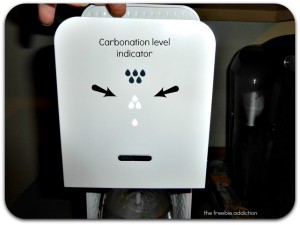 I also like that it has a carbonation level indicator. This is interesting. I saw one in TV wherein they do Coconut water soda. Now, I wonder if it will really taste like the real soda sold at market. I’ve always thought about getting a soda stream but never ‘pulled the trigger’. They look cool though! Andrew recently posted…Sell Your Old Phone, iPad, Video Games and More For CASH!